As the soles of my feet collided with the dirt-paved runway, I slowly and deeply inhaled the crisp Haitian air. Immediately, I was captivated by the majestic mountains that surrounded me on every side. Immediately, the ravishing beauty of the landscape and warm smiles of the people captured my heart. 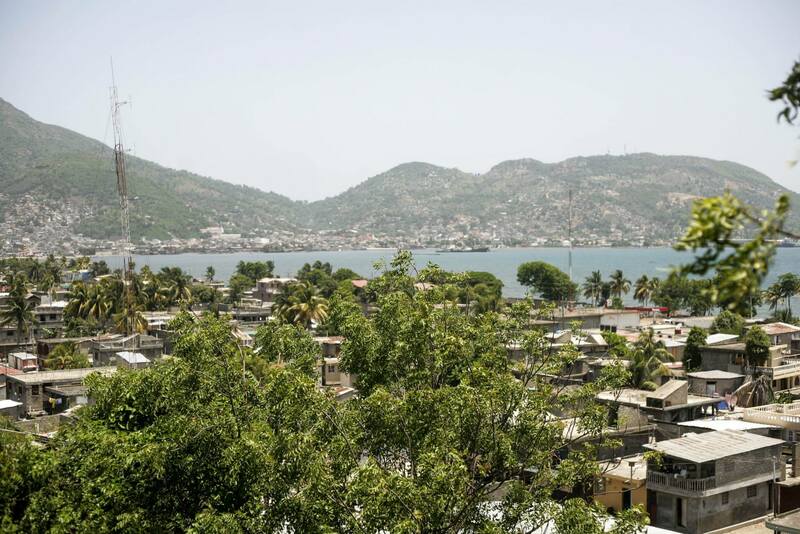 Immediately, I knew my 7-day missions trip to my homeland, Haiti, would change me forever – and it most certainly did. Truth is, STMs tend to be unsustainable by nature. They can easily contribute to vicious cycles of dependency and paternalism while cultivating a culture of self-righteous heroism among American volunteers. I’m talking about those trips that provide services that host communities could do themselves like constructing and painting homes. Or trips that provide detrimental aid, also known as handouts, such as food, clothes or medicine as a means for combatting poverty. Brian Fikkert and Steve Corbett beautifully detail the perils of these types of STMs in their book, “When Helping Hurts.” Robert Lupton also throws some serious shade on these STMs in his book, “Toxic Charity”. It doesn’t end there. William Easterly, Dambisa Moyo and Abhijit Banerjee all challenge the absurd notion of short term fixes for deep rooted problems and they are all on point. Here’s where I have a problem: although it appears the vast majority of STMs are structurally robbing vulnerable populations of their dignity to work and underestimating their God-given potential, it would be remiss and naïve to broadly lump all STMs together. The severe lack of voice given to healthy STMs has unjustly shamed volunteers whose short-term work abroad has significantly contributed to long-term development in host communities. The flood of social media and online “experts” who cast their non-empirical, broad blankets of shame on all volunteers who dare travel abroad on STMs, often throw the baby out with the bathwater. The following six facts about STMs stand as a defense for volunteers and organizations who partner with vulnerable populations through healthy and effective STMs (oh yes, they do exist). STMs can play a vital role in long term investments in host communities. It’s less about how long you stay and more about with whom you go – STMs are not the problem, unhealthy organizations are. Let me repeat that one more time: STMs are not the problem, unhealthy organizations are. Perhaps the most important part of having a healthy STM experience is the selection of a healthy host organization. These are organizations that are committed to working with and not for their partners. These are the organizations whose missions don’t involve handouts as a response to poverty. These are organizations that understand that the solution to poverty lies within the creative capacity and skills that individuals can use for their own advancements. For these organizations, STMs are a means to an end. STMs are a way of furthering the development of their partners in vulnerable populations by engaging in mutually benefiting relationships. With these organizations, the individual experiences of well-trained volunteers are part of a bigger story. The seven days a volunteer spends on the ground represents an integral strand in a larger tapestry of development. Meet Nanis, a beautiful Haitian woman who received a $200USD micro-loan and business training from Projects for Haiti, which revitalized her small business. STM can provide manpower for organizations investing in capacity development. It’s less about how long you go and more about what you do – Healthy STMs engage in productive development work, which esteems the dignity of individuals in the host community. Capacity development is one of the clearest ways of doing this. Capacity development is the transferring of knowledge and skills that strengthen the capacity of individuals to achieve their own development objectives. The primary focus is the growth of the individual through obtaining knowledge, skills and experiences. Instead of giving a man a fish, it teaches a man to fish so that he will eat for a lifetime without dependency on others. Here’s the thing: often organizations must find willing volunteers who specialize in a certain skill or sector in order to engage in capacity development. An example can be seen with one of the most effective international organizations I’ve ever known, Projects for Haiti, P4H (shameless plug). This organization conducts English classes, youth leadership programs, teacher trainings, business seminars and other trainings for the purpose of seeing Haitians accomplish their dreams. All of these transformative programs are hosted by well-trained volunteers who pay their way to travel to Haiti for 1-2 weeks. Without these dedicated volunteers, P4H would not be able to fully accomplish its mission. The 2015 Projects for Haiti summer teacher training. 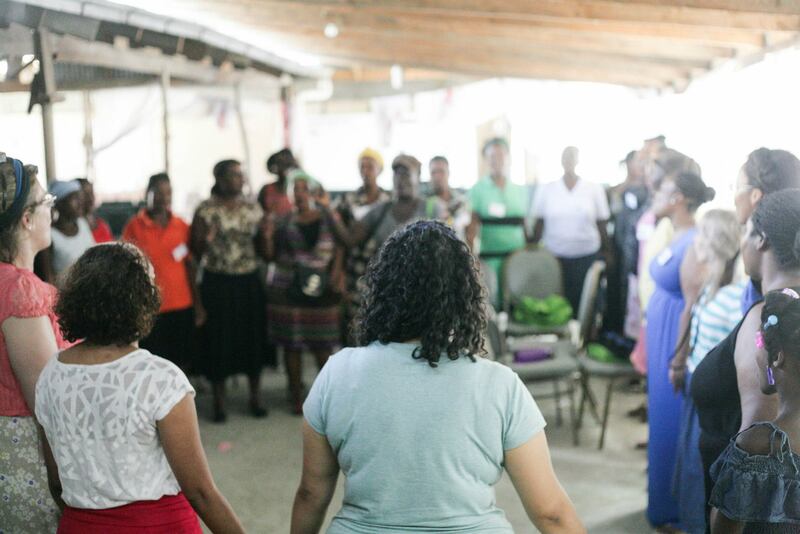 Six-hundred Haitian Educators from around the country gathered to receive pedagogical training. STMs provide an unmatched avenue for mutually benefiting partnerships. It’s less about how long you go and more about how you view the host community – As human beings with beating hearts, it is normal for us to be outraged at the injustices faced by our friends living in dollar-a-day poverty. These emotions, however, could easily turn into a dehumanizing pity for individuals living in economic poverty. Healthy STMs shift this common paradigm by training volunteers to see the wealth and assets within the host community. These STMs firmly support the theory of Asset Based Community Development, which asserts that every community has assets that can drive the development process. This theory focuses on the community’s strengths and what they already have as opposed to what they “need”. Following this theory allows volunteers to have the profound realization that regardless of economic circumstances, host communities are filled with an incredible wealth. These beautiful smiles captured my heart from day one. This is the Haiti I know. STM can change perspectives, which, can change lives. It’s less about how long you go and more about what the impact is – The focus of STMs should never be about the needs of the volunteers. However, this doesn’t mean that the volunteers should be out of the picture. When done right, STMs strengthen local communities while providing volunteers with a distinct opportunity to see and experience the world in a profound way. If we truly see the dignity and wealth in host communities, it becomes natural for us to believe that volunteers should walk into the experience fully expecting to gain much. In fact, this cross-cultural experience can become the foundation for volunteers to invest further in international development. It could become the catalyst for volunteers to become globally minded teachers, lawyers, doctors, police officers or policy makers. Although STMs last only days, the impact should never be underestimated. After my first missions trip to Haiti, I changed my major so that I could become better equipped to give my entire life to supporting development in my country-oh yes, it was that dramatic. This lead me to deciding to pursue my Masters in Latin American Studies with a specialization in development, which finally lead me to where I am now, pursuing my PhD in Extension Education at the University of Florida in an attempt to equip myself for a life dedicated to development work in Haiti. When done right, STMs can change perspectives, which can change lives, which can change the world. STM can be more valuable than donated money. It’s less about how long you go and more about what message you send – Assuming a STM is done through a healthy organization and volunteers are engaged in capacity development, the presence of a volunteer could be more valuable than throwing money at a deep rooted problem. Let me explain. I’ve often read that going on a missions trip is a waste of money because the funds could have been given to the host community instead. While this logic is rooted in good intentions, it’s incredibly faulty. Throwing money at a problem only perpetuates a vicious cycle of dependency. No country has ever been built off of donations. Giving money to the host community would not solve anything. While it’d be nice to imagine that everyone is endowed with an altruistic heart that is prepared to fundraise thousands of dollars without a connection to a cause, it’s not the reality. Most people need to see, taste, feel and experience things before they commit to a cause without receiving anything in return. You should try a healthy STM. Really, try one – For all the skeptics out there, I challenge you to join me on my next STM. Your life will never be the same, ask a P4H volunteer for some qualitative proof. Now, for all the volunteers and organizations committed to partnering with communities around the globe through healthy STMs: keep doing your thing. Perhaps one day there will no longer be a lack of substantive commentary on healthy STM and the zealous overcorrecting will dwindle. 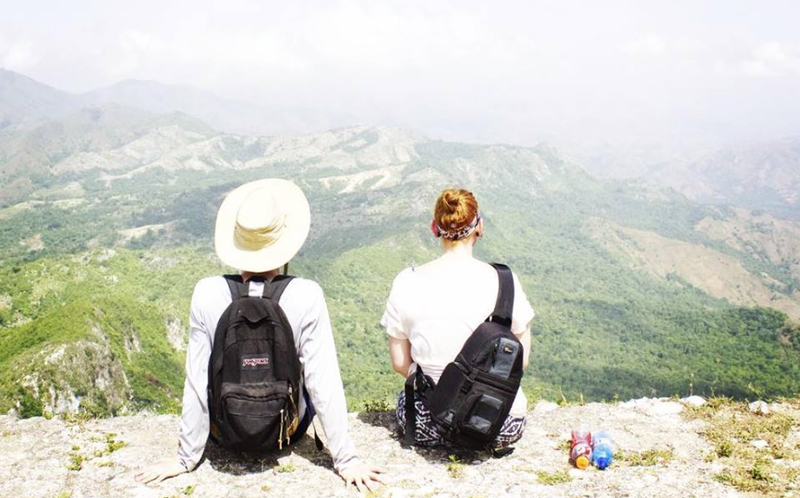 Originally posted as “Six Facts You Should Know About Short Term Missions Trips (STMs): A Defense for Healthy STMs” on Bertrhude Albert’s website . Bertrhude is the founder and CEO of Projects for Haiti, Inc. and is pursuing her Ph.D. from the University of Florida in Agricultural Education and Communication.